My favorite gift of all time was a straw basket given to me by my mom when I was six years old. Inside, she had placed dozens of small, individually wrapped presents. Each and every one of them was a thrill to open. I hope these gift boxes create a bit of the same magic I felt that morning. 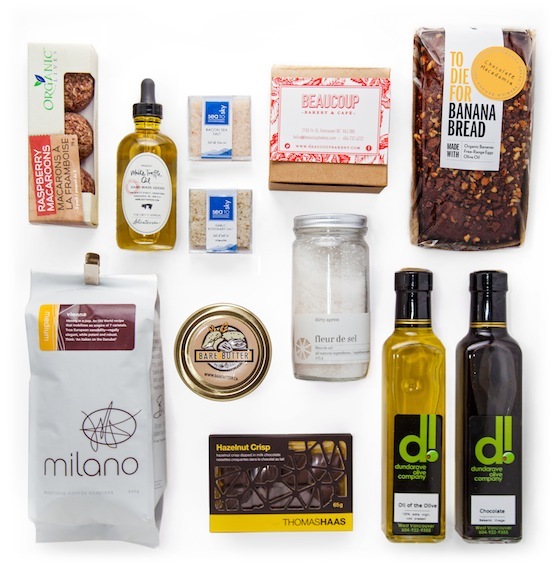 This gift is perfect for the Vancouver food lover on your Christmas list. I’ve chosen a selection of my favorite local foods that are so fabulous, I’m sure they will fall in love with them, as I have. Each rustically-designed gift box will be filled and wrapped by me. I’d be more than happy to include a personal touch to make it extra special, if you’d like. *All items are subject to availability. 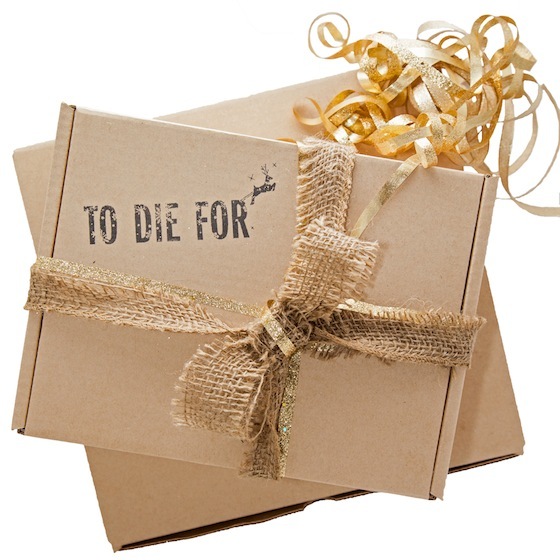 I reserve the right to substitute gift box items of equal or greater value depending on availability. Ordering is now closed. Sorry for any inconvenience and thanks for your interest. *Please place your orders one week ahead of time (cut-off is 9pm). 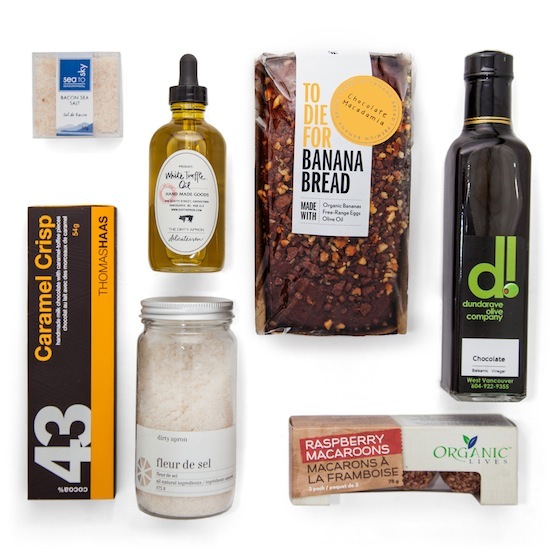 For orders of ten boxes or more, please contact me directly (erin at itstodiefor dot ca). Once you submit your order, you’ll receive an email to confirm the pick-up / delivery date you selected within the form. For large orders, please note that once you select your box and delivery type, you’ll be able to adjust quantity after clicking through to the ‘pay now’ page. ORDERING IS NOW CLOSED – SORRY FOR ANY INCONVENIENCE! HAPPY HOLIDAYS!